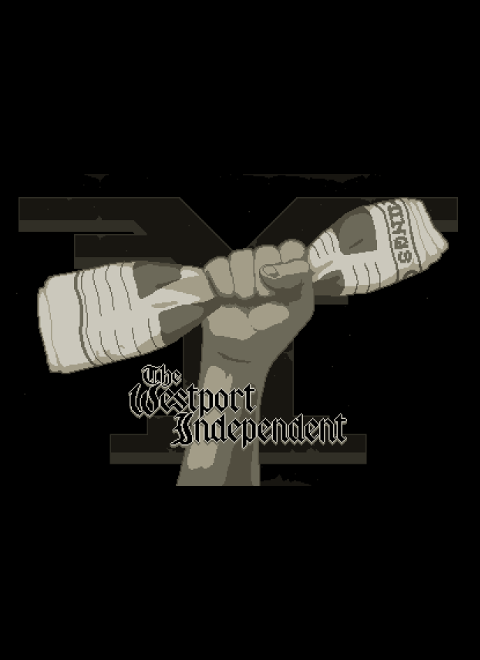 The Westport Independent is a censorship simulator about the last weeks on an independent newspaper which is to be dismantled according to a new government bill. You play an editor in charge of choosing what will be printed in the paper, making sure that the content is nice and proper according to the government guidelines. With rebellions against the government rising slowly amongst the public, whose thruth will you print? All newspapers need journalists, and The Westport Independent is no different. You may be the chief editor of your newspaper, but your paper will be nothing without your writers. This team of writers will be the ones who transcribe your edited articles, but they also have their opinions on what should be printed. They also have their own families and lives to protect, so don't blame them if they don't want to follow you onto the Loyalists or the Rebels hit list. The employees will basically have two functions: They’ll be the ones who write your articles, and they will discuss what you choose to print, in order to give the player a broader perspective on his actions. Your team will consists of four writers, who will all have their own circumstances and opinions. As you go along, your actions will affect their lives, so there’s definitely the risk that you’ll loose employees, meaning that you won’t be able to write as many articles. To help you keep track of your employees, you will have a book that contains information about their wage, how many articles they’ve written, and other info that might be useful for you to know. You’ll be able to control their pay from here, and you’ll also be able to keep track of their personalities and opinions. Between every week, your employees will be discussing your actions for the past week. They will talk about the direction the paper is going in, recent events regarding the government, and the current state of Westport. All in all, they’ll be giving the player a more in depth feel for what’s going on in the city. Coffee break at the office. The employees are discussing a players recent choice to post celebrity articles instead of "real" news. We will be releasing more information on the employees as we go along (like their names and personalities etc. ), so if you found this interesting, be sure to subscribe to us here on IndieDB! Also, if you want more frequent updates, you can follow us on twitter at @0010_games. And introduction to the city that The Westport Independent will take place in. It's a bit of a rowdy place, but we hope you'll enjoy your stay! 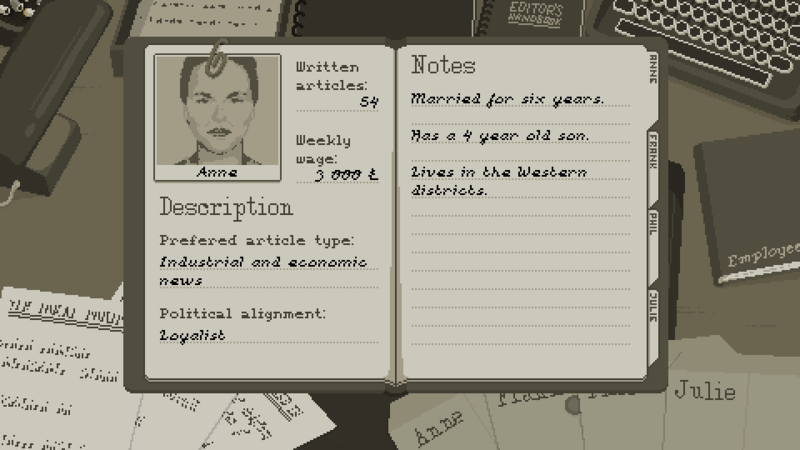 An introductory post to a game about censorship, management and newspapers. The game jam version for The Westport Independent. This version of the game as made for Ludum Dare 29 in 72 hours. The release date for the game still isn't announced. It will hopefully play well on your laptop, it's hard to say without knowing the specs of the laptop, but the game will be made for iOS and Android as well, so hopefully your laptop will be able to play it. The game is being developed in an engine called Luxe, so you won't have the problem of Unity blowing up your CPU fans after 1 minute. RT @SeikaYo: @0010_Games The Westport Independent is brilliant, thanks for the experience!